Thank you Mata'afa for the editorial. The problems discussed reflect the changes Samoa is going through. Unfortunately, criminal and other anti-social activities become by-products of these changes. 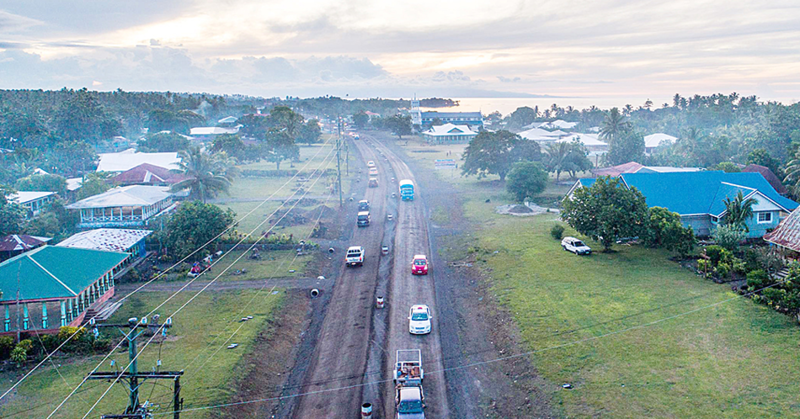 They are social ills common in many societies and though the causes are similar throughout, Samoa has its own unique share in the contributing factors. I personally don't expect these problems with the youth to get better; they will only get worse especially if the government and society continue to be indifferent to the plight of these young people. Whenever I watch or see (in videos or pictures) a national celebration or event in which schools come together to perform, I marvel at the numbers and huge masses of these young people. Their excitement and enthusiasm for the moment exude hope and optimism. I’m often awed by the euphoria while admiring the typical fiafia countenance emanating from their youthful and beautiful faces. And then, inevitably, my thoughts always turn to more subdued feelings of empathy from the usual question that I quietly ask: "What awaits them after graduation?" Well, the honest though difficult answer is "Not much!" Limited opportunities and lack of employment prospects both combine for a perfect concoction of delinquency and lawlessness. This is a serious systemic matter and should be one of highest priorities for the government. Widespread poverty also is a factor and harbinger of criminal activities among young people. Poverty contributes to the breakdown and undermining of the family, which is part of the support system for the youth. The government should be convinced of the truth about pervasive poverty in Samoa. As long as it continues to deny the problem, as of late, it will continue to overlook and ignore some of poverty’s social and criminal consequences. And then there's the irony in the role the Church plays in propelling poverty via its financial demands and obligations. Moreover, it seems that alcohol is a common element in many of these violent and criminal incidents. What's more disconcerting is the rampant use and abuse of alcohol among our people, and especially among the youth. Alcohol is omnipresent in many social functions and celebrations, even at the higher government levels. Though mostly used responsibly in these settings and occasions, it still contributes gradually to overindulgence and addiction.